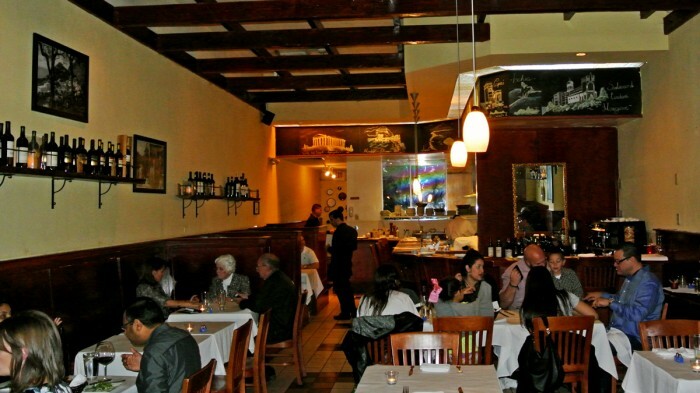 Located only one block from Stanford’s the restaurant-lined Palo Alto main drag, University Avenue, you will find an unassuming Italian restaurant called Vero. With its tall, vaulted, wood beamed ceiling, candlelit dining room, and open kitchen, it’s quite an inviting restaurant to spot passing by. Though most guests were dining inside, we opted for one of their outdoor seats to take advantage of the miraculously warm early-March Californian weather. Not only was this table very pleasant, but it also allowed me to watch all of the dinner guests arrive. It became very apparent to me that everyone dining and arriving at the restaurant was a local and a regular. The waiter loudly and passionately welcomed and embraced each patron with a long hug or a firm handshake like they were family. And yes, this is the kind of family you’d want to be a part of. Though we were first-timers and out-of-towners, we too were treated with the same warm welcome which was quite a nice change of pace compared to dining in New York. Our waiter was very attentive and helpful and offered wine and meal suggestions with his thick part-Italian part-surfer-bro accent. Quickly, with our waiter’s assistance, we decided on a bottle of Sicilian red wine that suited our drinking preferences. 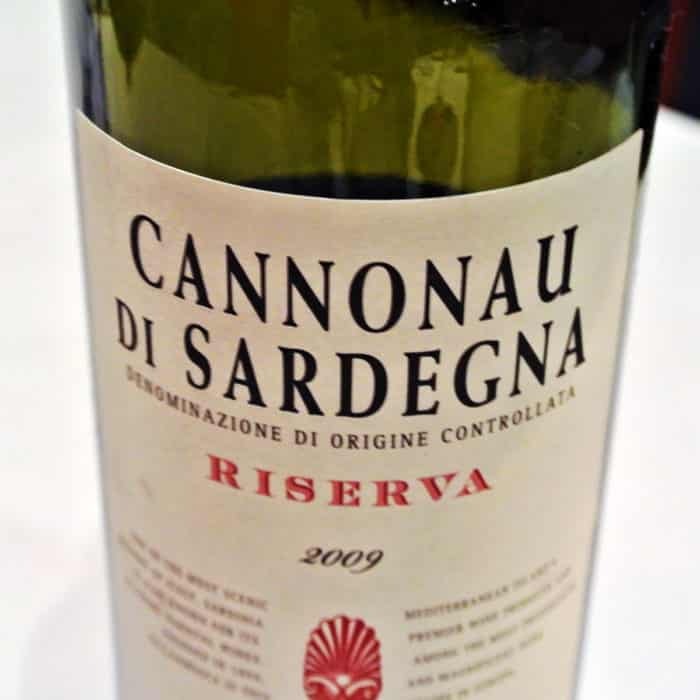 Full bodied, with a nice level of smokiness and dryness it really hit the spot while dining al fresco and paired well with all of the rich Italian dishes. To start off the meal, we had a simple Mista Salad. The heaping pile of mixed lettuce came topped with a really nice vinaigrette that had a little salty flavor twist of some sort that I couldn’t put my finger on. The chopped walnuts, red onion, and grated ricotta salata made this salad quite enjoyable. 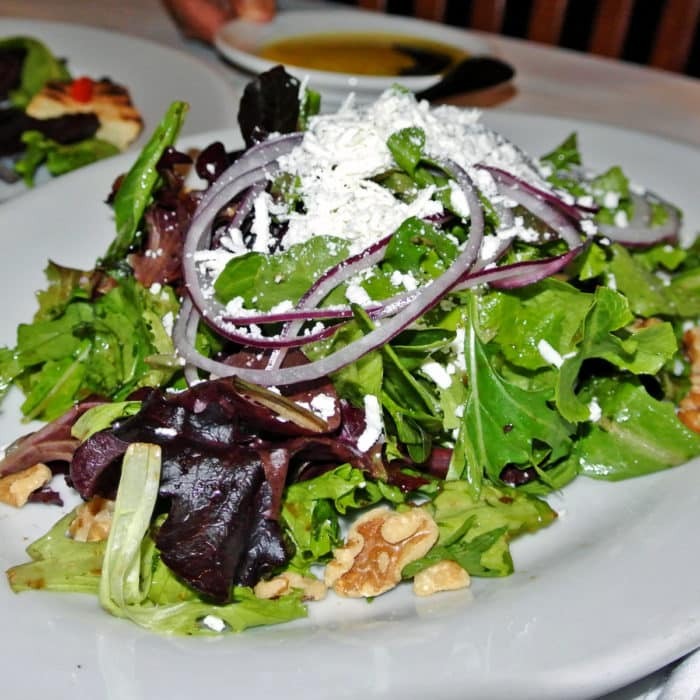 It was a fairly straightforward salad, but we were all aching for some greens in our bodies. 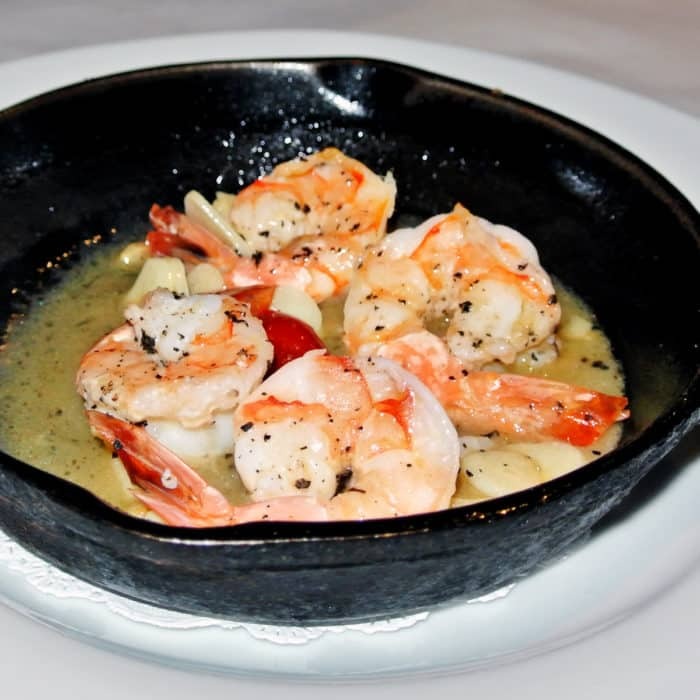 Next up was a sizzling shrimp-filled skillet called Gamberoni. Though the four-shrimp portion may seem stingy, they were each very delicious, snappy, and cooked quite well. The best part, however, was sopping up that incredible garlicky, lemony liquid at the bottom of the skillet with the freshly baked, warm table bread. What an awesome burst of flavor. 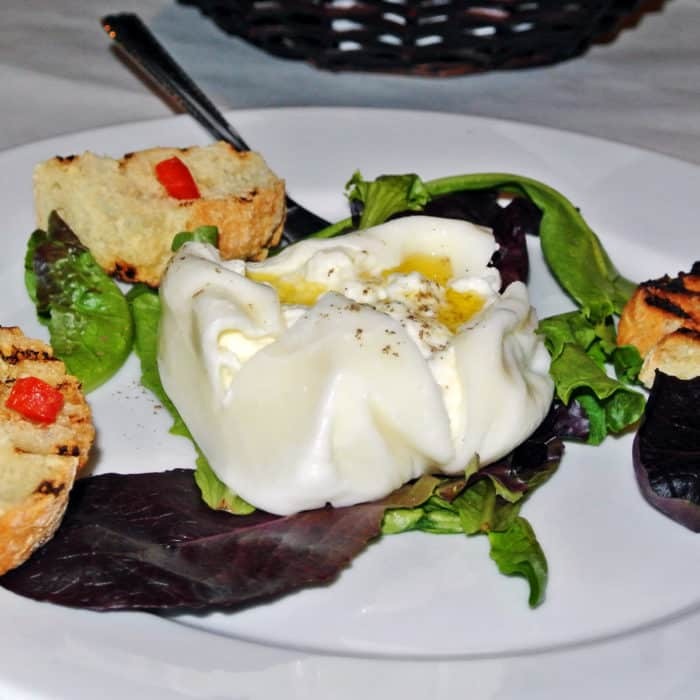 We then had a starter I can never resist when I see it on a menu, Burrata. Served simply with a drizzle of olive oil, a crack of pepper, some arugula, and toast points, the cheese speaks for itself. The milky, soft interior mozzarella curds bursted with creamy satisfaction with every bite. This burrata was simply wonderful. 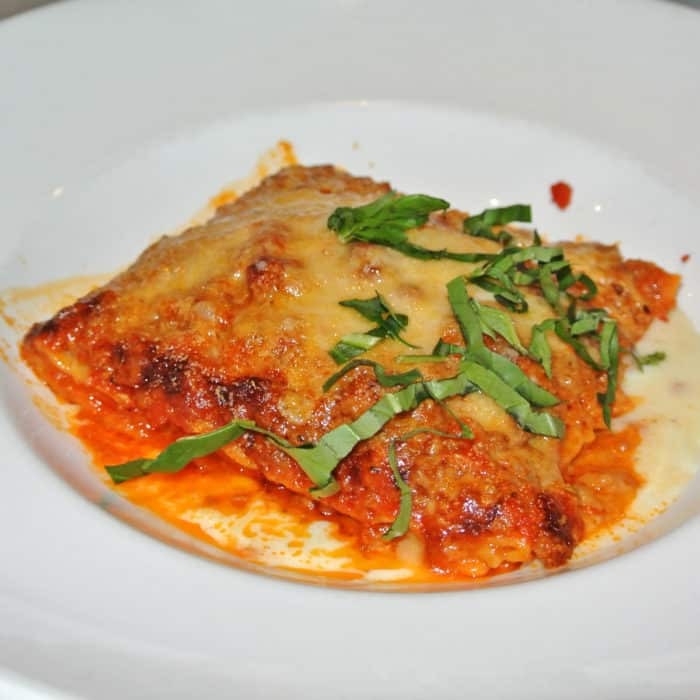 For my main, I selected the lasagna which arrived as a massive square of layered pasta with a ton of melty, crispy cheese, crumbled Italian sausage, chunky tomato sauce, and a generous dollop of rich and creamy béchamel sauce. This dish was so hearty, filling, delicious, and comforting, but it was that crumbled Italian sausage that really made the dish for me. That bold, herby flavor permeated through every awesomely meaty bite. 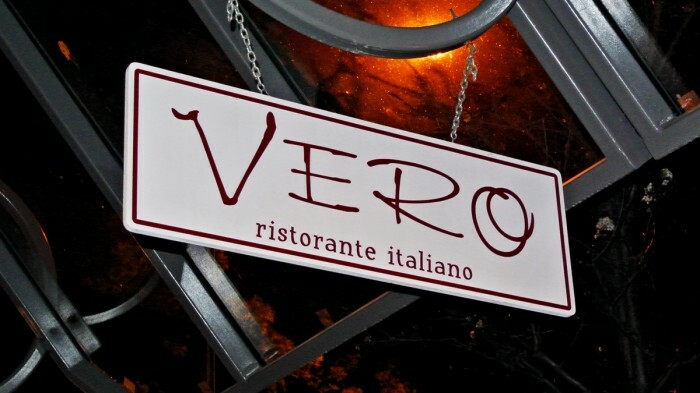 Though all of the food at Vero is fairly restrained, everything we ate was really enjoyable and hit that home-cooked comfort spot we were looking for. There a reason it’s the place where the Palo Alto locals go. Got another locals-only spot in Silicon Valley that I should check out? Let me know in the comments below.